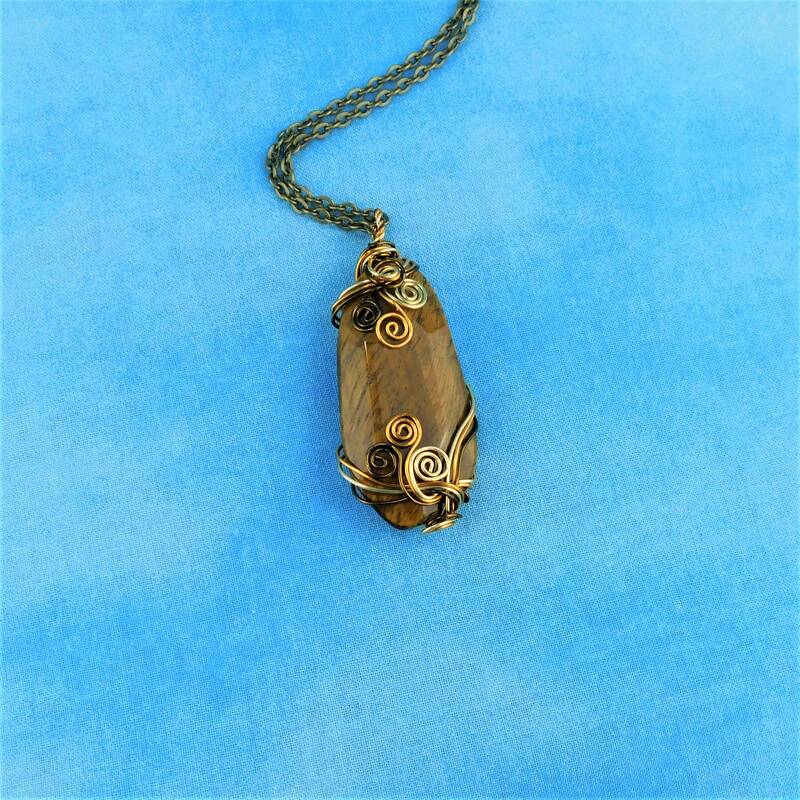 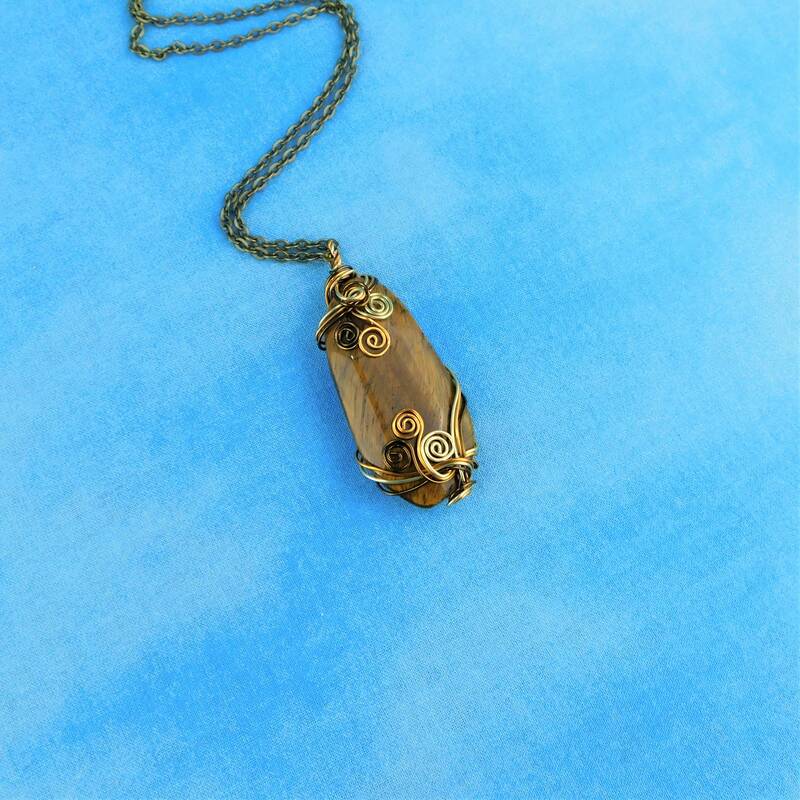 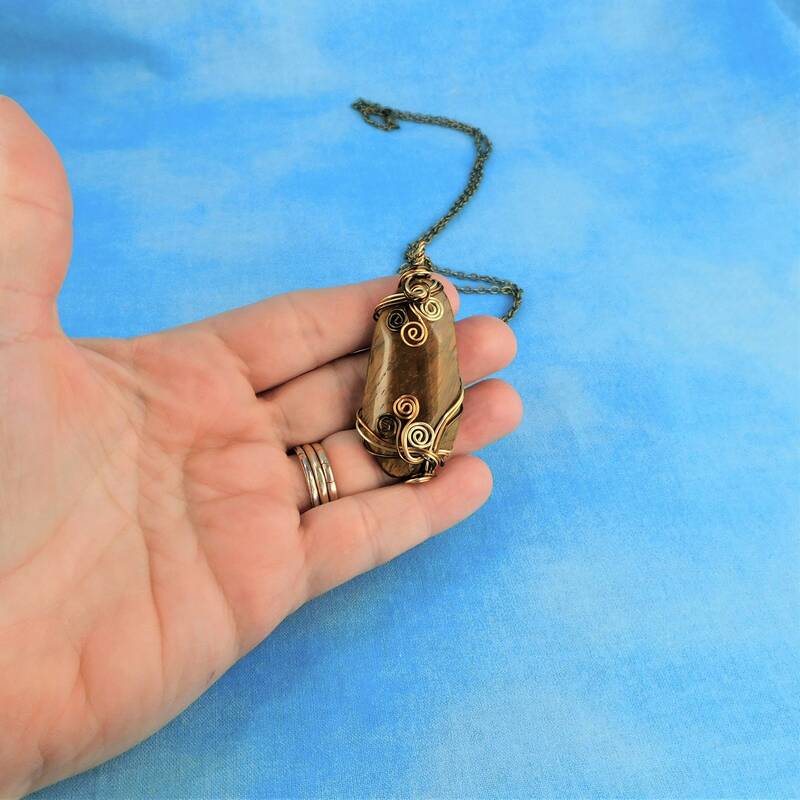 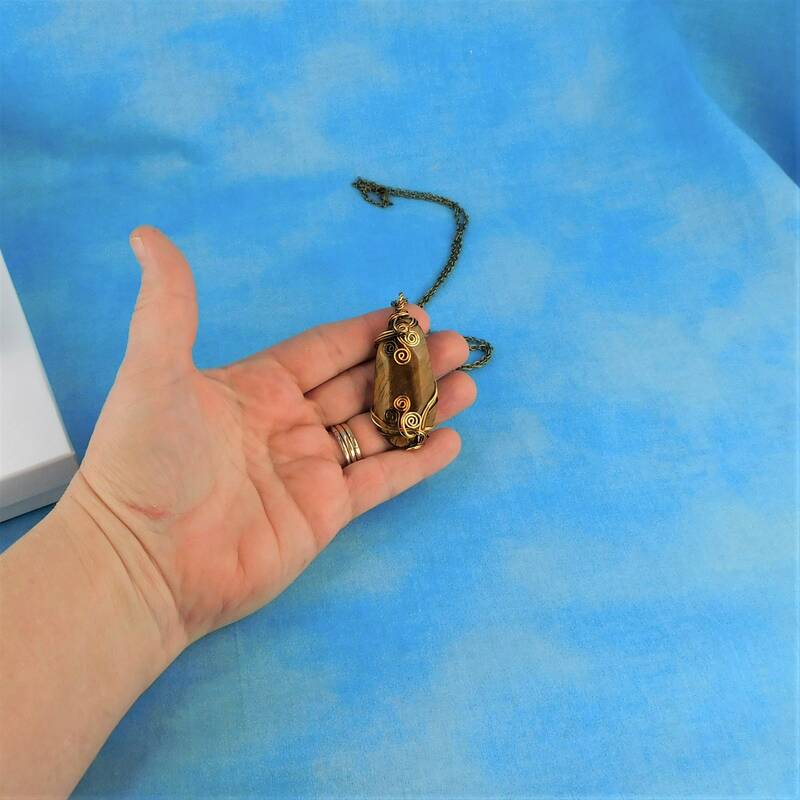 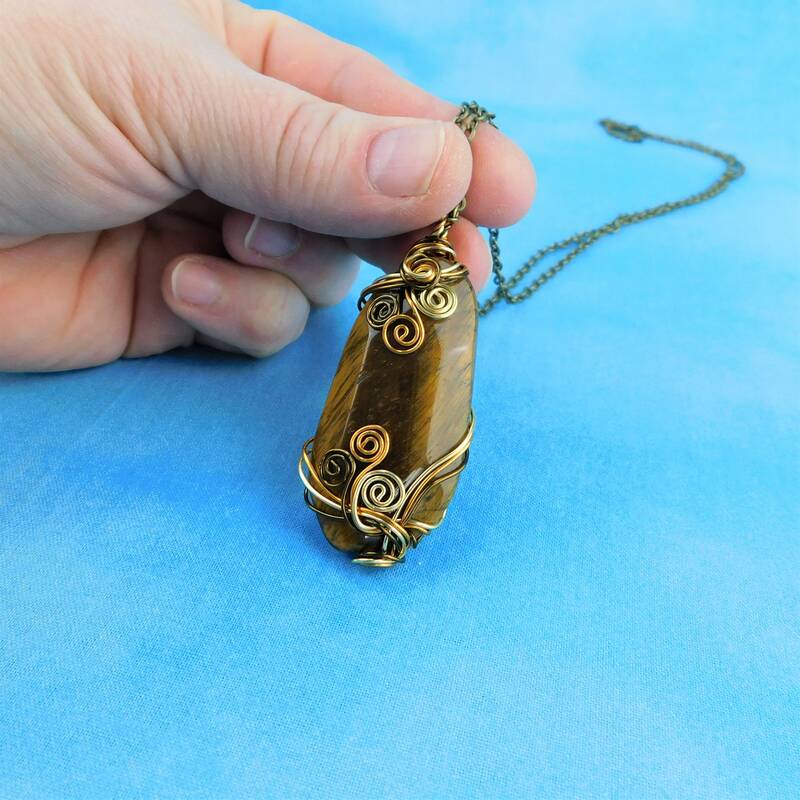 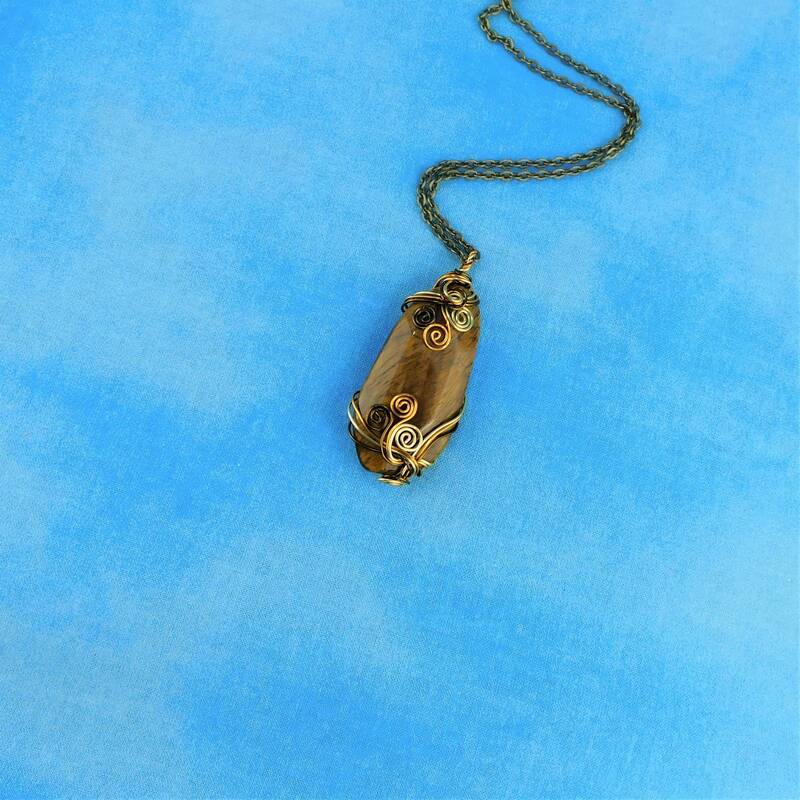 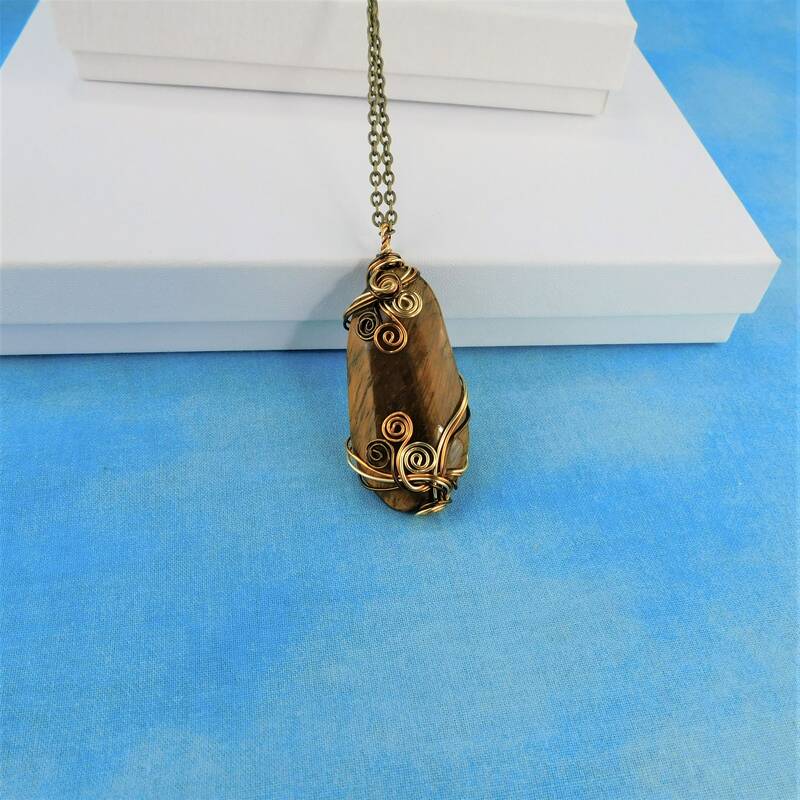 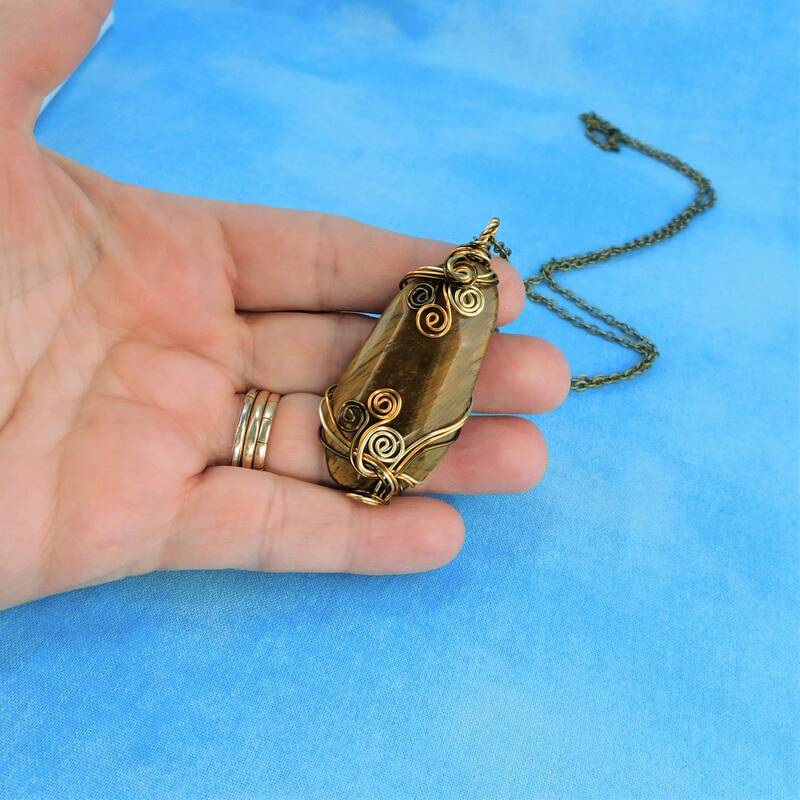 A 2 inch by 1 inch tiger eye stone is artistically embellished with three shades of non tarnish copper wire, creating a pendant of rich golden browns. 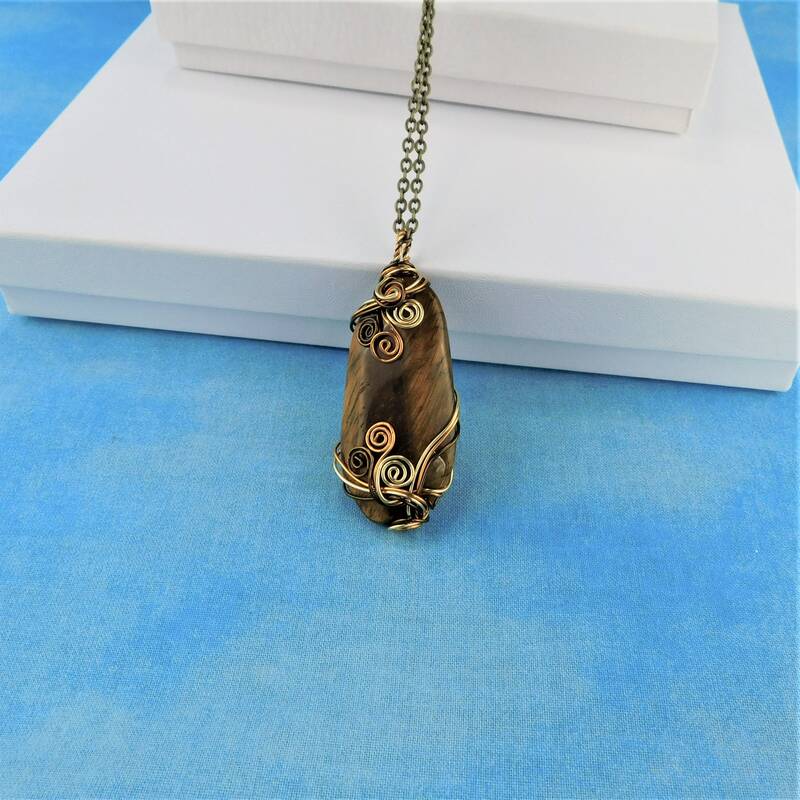 The free form shape is interesting and unique, making this a truly one of a kind necklace. 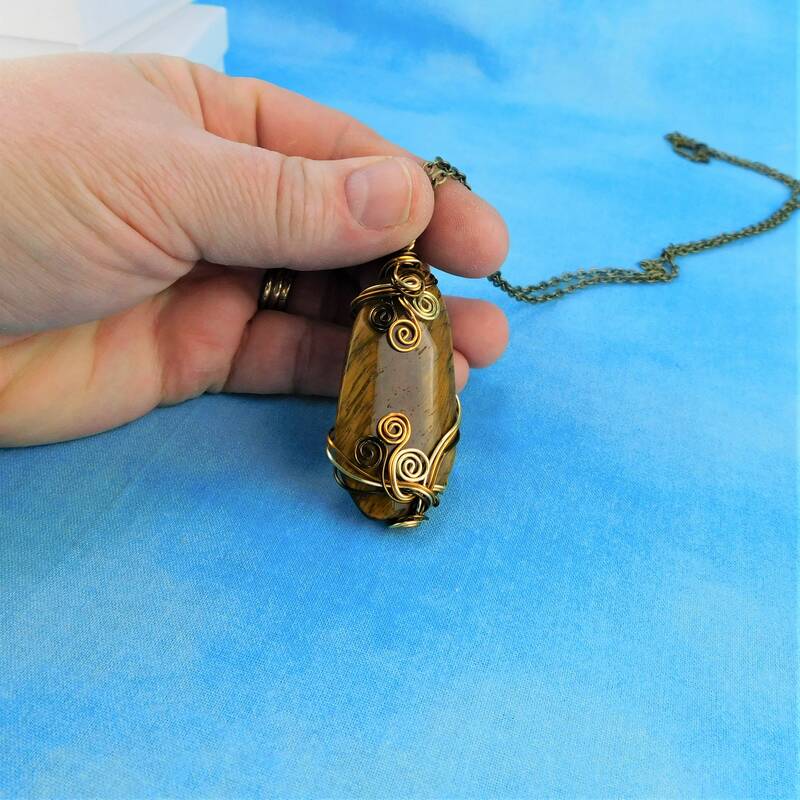 This artisan crafted pendant comes with a FREE coordinating chain with lobster claw clasp, measured to your preferred length is included.